Vue.js select component without the overhead of jQuery. 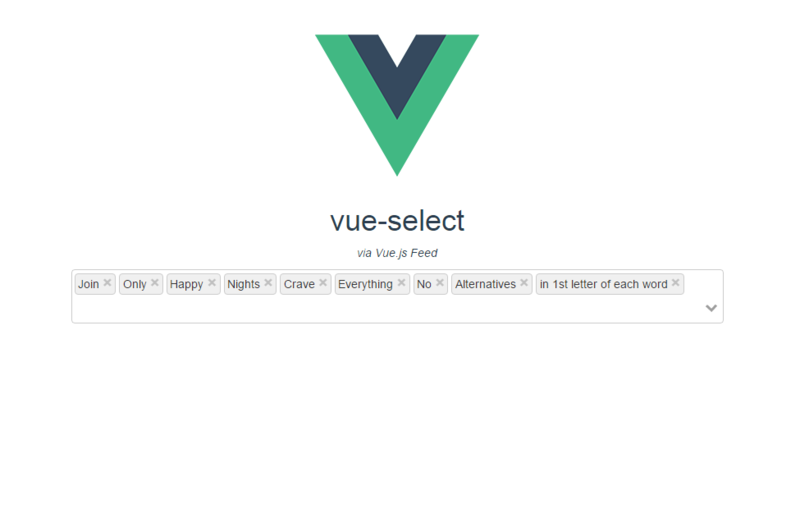 - Vue.js Feed Vue.js select component without the overhead of jQuery. 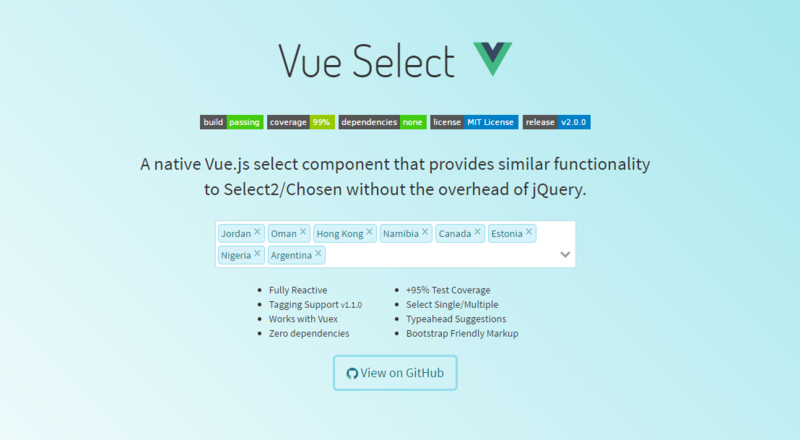 A native Vue.js select component that provides similar functionality to Select2. Documentation & Demo available here. vue-select is on GitHub & JSFiddle.